In total, 16 cars were caught up in the collision at Police bend – one of the tightest parts of the 3.8-mile circuit in Macau, one of China’s Special Administrative Regions. The 4th place runner Daniel Juncadella was first to hit the wall towards the exit of the corner.The pursuing Raffaele Marciello was able to squeeze past the crashed Mercedes, but defending GT World Cup winner Laurens Vanthoor was unsighted and could not avoid Juncadella’s car. Vanthoor hit the right-rear corner of the Mercedes before pretty much every other car then ploughed into the giant snake of cars piled into one another. The race was immediately red flagged, with cranes at the right-hander clearing quickly beginning a clear-up job. 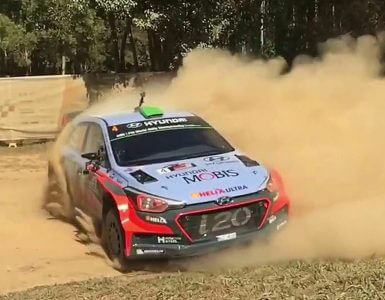 We decided to follow up a gif that gained insane amount of exposure on our social networks with a set of videos featuring the Hyundai i20 WRC rally car. Including the original video of the U-turn drift! Are these top 10 high speed overtakes? Cars and bikes going over the magical 300 km/h on the streets but still being overtaken. 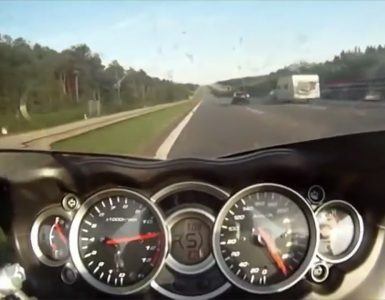 Checkout this pick of 10 insane overtakes!